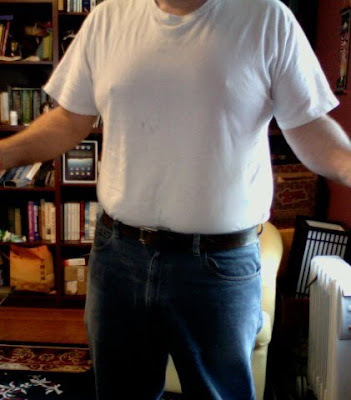 Well, it did take me a little while to really get started but I have been making progress. Since my post in January, I didn’t really get serious until the end of March. But since then I have dutifully tracked every calorie and increased my activity. I am going to the gym about 5 days a week to do free weights and cardio on the elliptical machine. I’m also gearing up my running and have been able to manage long runs over 10 miles for each of the last 3 weekends. 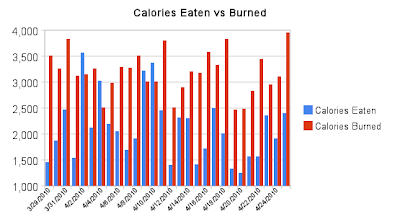 The thing about losing weight is that it really is about calorie balance – what you eat vs what you burn. And it’s a simple formula. You have to burn about 3500 more calories than you eat every week to lose one pound a week. 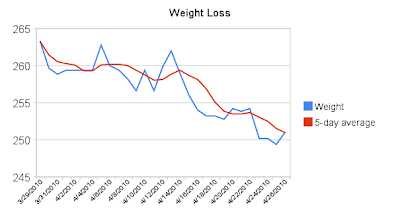 I’ve managed to maintain about and average 1300 calorie deficit for the last four weeks and it is showing the exact results one would expect with the math. 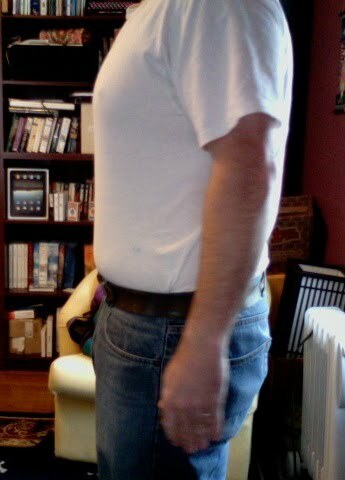 I have lost about 3 pounds a week. Compared to my photos from January, you can definitely see the difference1 2 pounds makes.